BBC deprivation test proves you don't know what you've got til it's gone. 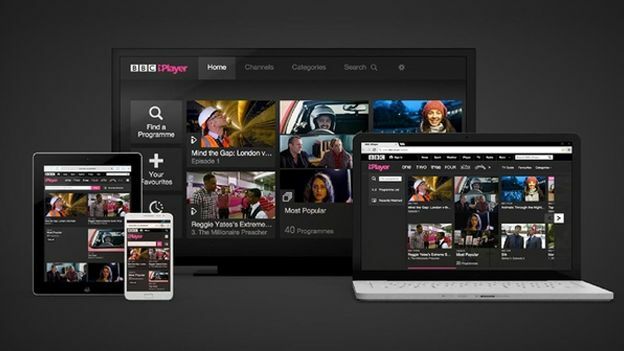 A recent study has found when faced with a complete lockdown on BBC services the majority of people will change their opinion on just how much value there is in the licence fee. More than two-thirds of those households that took part in the survey, which initially held the view they did not want to pay the licence fee at all, or felt it should be lower, at the end of the research found they were happy to pay the full price. Seventy households, from fifteen different areas of the country, were chosen to take part in the study and formed three groups. The first group of twenty-four households was comprised of those who did not want to pay for the licence fee at all, the second group of twenty-four wanted to pay less than the current licence fee and the final group of twenty-two households represented those happy with the current price. MTM weighted the research more heavily on those either who didn't want to pay at all or wanted to pay less - group one and two only represent about 28% of the population - so as to make it a tougher test on the BBC's perceived value. Each household was blocked from all BBC content, both online and in broadcast TV and radio, for nine days and were then given the £3.60 they had saved over that time and asked for their opinion on the licence fee after their experience. The BBC has published a before and after video of some of the participants here. It's worth watching just for some of the extreme about-faces that some of the participants ended up experiencing after missing out on their favourite shows ("Masterchef, it happened to be the final..." he says shaking his head ruefully) or after failing to find an alternative to Radio 2 ("Radio-wise, it was...an absolute nightmare."). Out of the forty-eight households in groups one and two thirty-three of them changed their minds and conceded that at 40p/day the licence fee was absolutely good value for money. A lot of the households expressed surprise at what was actually included in the licence fee, not realising the online and radio content was part and parcel of the yearly cost. Interestingly a large number of people referenced the difficulty in finding an alternative radio broadcaster to replace Radio 1 and 2 in their daily lives. And, inevitably, the frustration at advertising was also another reaction to being forced towards commercial broadcasters as opposed to the BBC. If we don't save the BBC we'll regret it forever.